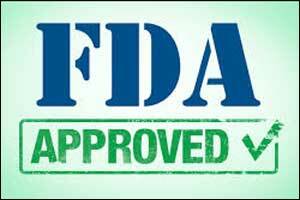 Ultomiris (ravulizumab) injection bagged approval from the U.S. Food and Drug Administration for the treatment of adult patients with paroxysmal nocturnal hemoglobinuria (PNH), a rare and life-threatening blood disease. Ultomiris is a long-acting complement inhibitor that prevents hemolysis. The FDA approval was backed by a clinical trial of 246 patients who previously had not been treated for PNH (treatment naive), who were randomized to be treated with Ultomiris or eculizumab, the current standard of care for PNH. The results of the trial demonstrated that Ultomiris had similar results to eculizumab (non-inferior) – patients did not receive a transfusion and had similar incidence of hemolysis measured by the normalization of LDH levels in patients’ blood (lactate dehydrogenase, or LDH, is an enzyme required during the process of turning sugar into energy in the body’s cells). In addition, Ultomiris was studied in a second clinical trial of 195 patients with PNH who were clinically stable after having been treated with eculizumab for at least the past six months. These patients were randomly selected to be treated with Ultomiris or to continue eculizumab. Ultomiris again demonstrated similar effects to eculizumab (non-inferior) based on several clinical measures including hemolysis and avoiding transfusion. Common side effects reported by patients in clinical trials were a headache and upper respiratory infection. Health care providers are advised to use caution when administering Ultomiris to patients with any other systemic infection. The prescribing information for Ultomiris includes a Boxed Warning to advise health care professionals and patients about the risk of life-threatening meningococcal infections and sepsis. Patients should be immunized with meningococcal vaccines at least two weeks prior to administering the first dose of Ultomiris unless the risks of delaying treatment outweigh the risks of developing a meningococcal infection. Patients and health care providers are advised that vaccination reduces, but does not eliminate, the risk of meningococcal infection. Patients should be monitored for early signs of meningococcal infections and evaluated immediately if the infection is suspected. PNH is a rare acquired disorder that leads to the rupture or destruction of red blood cells (hemolysis). Patients with PNH have sudden, recurring episodes where red blood cells are prematurely destroyed which may be triggered by stresses on the body, such as infections or physical exertion. PNH can occur at any age, although it is most often diagnosed in young adulthood.